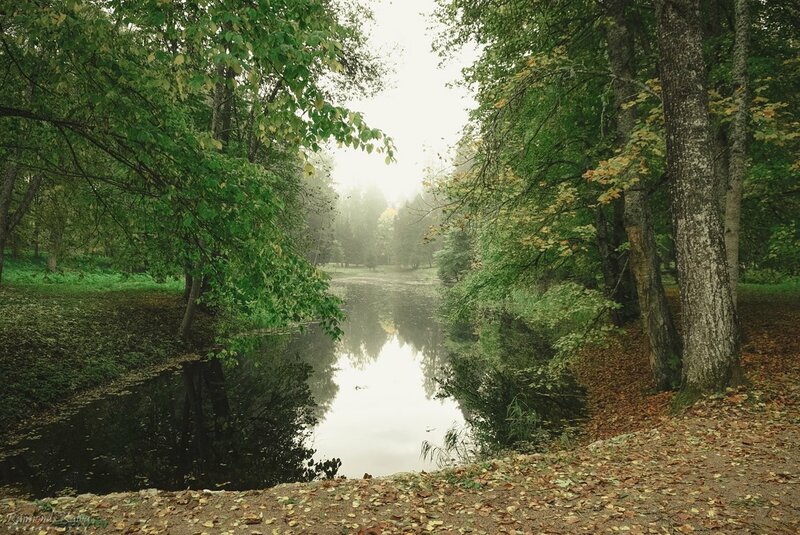 Near Luznava manor, on the edge of the pond, an unusual linden is expanding its branches. It tells a sad story about the unfulfilled love of some local girl. The breath of art has always been felt during the landlord times in Luznava, as the mistress of the manor, Eugenia Kerbedz, was a big devotee of art, who supported young talents, inviting them to visit Luznava. Painters, who arrived from various countries, invited a local farm girl to pose for them. The girl got especially attracted to one of the painters, but autumn came and the handsome painter had to leave, giving a promise to return the next spring. Waiting for the spring and her beloved one, the girl planted yellow tulips near the pond as a symbol of her longing. However, the painter did not come that spring, nor the next spring. The girl's heart was broken, but a linden with 21 trunks has grown in the magnificent tulip field as a reminder of the 21-year-old girl's love. 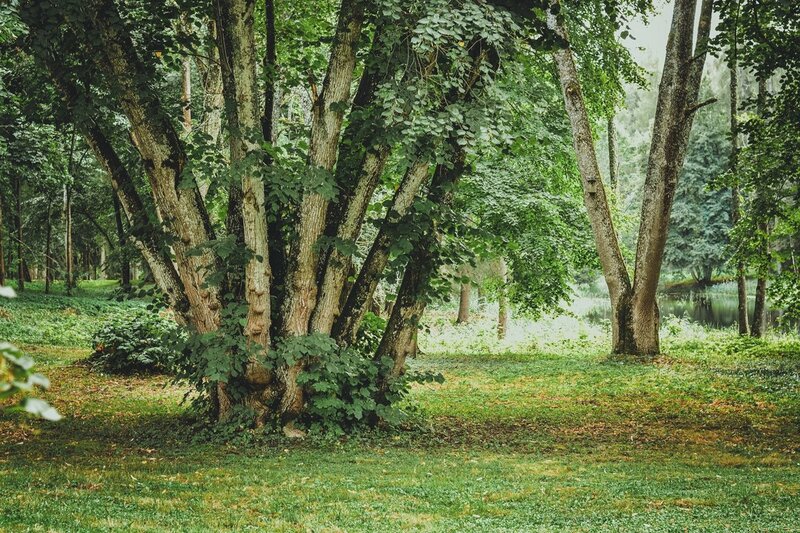 If you want true and strong love, step in the middle of the linden trunks! With the beginning of the WWI, the mistress of the manor was forced to leave Luznava for abroad. With the hope for a return, she threw her money and some jewelry into the pond. If you watch the pond at midnight, you can see the reflection of glinting lights– the treasures of the manor's mistress. 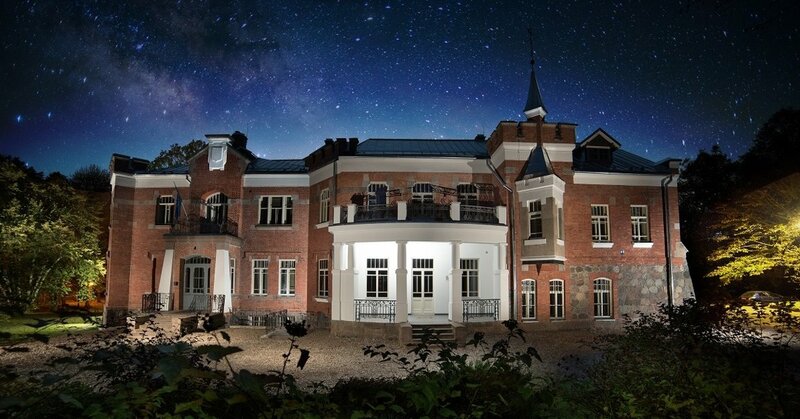 There is a legend saying that the soul of the former mistress of Luznava manor, Eugenia Kerbedz, the Good Lady, has returned to place where she was happy and loved, as here, in Luznava, she has spent the most wonderful years. She was an artist and art devotee, patroness, who supported young artists in their efforts. Possibly, because of her invisible presence in Luznava, the manor has survived considerably intact all the regimes, wars, changes, and revived for a new life. Those who happened to stay late in the manor house, have told that late at nights the steps of the Good Lady and the stairs creaking can be heard, as someone is walking lightly. There is an unbelievably good and light aura, which makes us assume that it is lady Eugenia, who is simply taking a walk through the manor and checking that everything is right.s, if necessary.